BitFenix is a relatively young case company, when compared to names like Antec or Cooler Master. However, they’ve really made a name for themselves, by not following the crowd. I’m sure all of you have had, or know someone that has owned, a BitFenix Prodigy. It’s unique design was such a hit, that it has been adapted into many a competitor’s case designs. In fact, the internet is filled with Prodigy projects, builds and mods. The BitFenix Pandora is not a new case model, by any means. But, with the new larger Pandora coming out soon, we here at the Zoo felt that, it was worth a look. The good thing is that, I have had some time now to look it over. Outwardly, this case has the curves and brushed finish that would let this case find a home in most modern entertainment centers, without sticking out too badly. 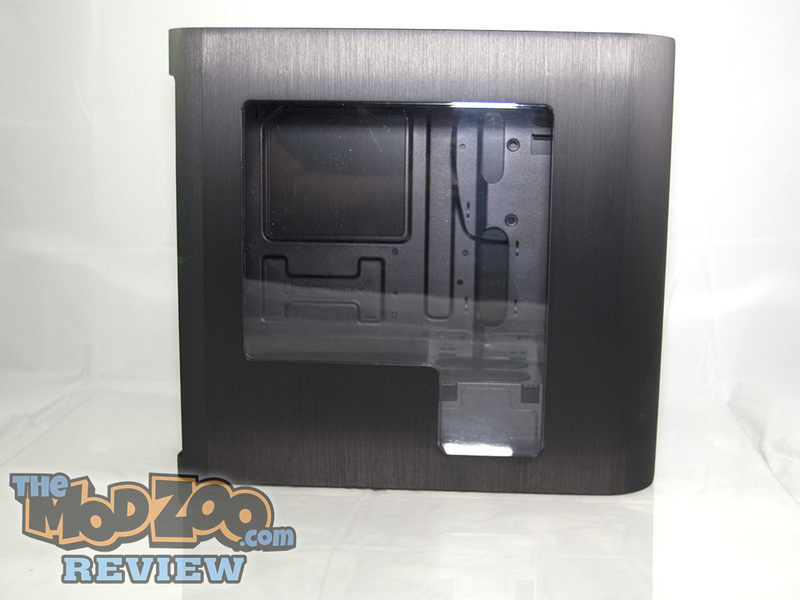 So, let’s take a closer look at the Pandora mATX mid tower case with ICON™ display! Note: At the time of the writing of this review, the cost of this case at Amazon.com is $155.39. Now let’s open the box and take a look! The shipping carton is nice, solid and does a great job of showing you exactly what you’re getting. Internally, the case is supported by two large foam pieces that hug the case and keeps it from moving around. In addition to the case, there is a small cardboard box with extra screws for drive and motherboard mounting, zip ties, a long strip of double sided hook and loop tape, an allen wrench (to assist with the Expansion Port thumbscrews), additional motherboard standoffs and a bit for tightening and loosening the standoffs.